I keep intending to cut back on how much I’m buying, but I ended up with nine comics this week. You know what that means – nine times for me to show off my fancy domino-based rating system! First up is Green Arrow: Year One #2. Green Arrow for me was one of the few successes of DC’s One Year Later. I think I gave nearly every OYL title a chance, and Green Arrow was one of the few that I stuck with (even including titles that I read regularly before Infinite Crisis). I was sad to hear that his regular series was coming to an end, but this origin series – especially coming every two weeks – leaves me with little to nothing to complain about. Diggle Jock continue the story of Oliver Queen, left for dead and washed up on an island. I love fiction like this, where you sit there and read it and actually wish that you were lucky enough to be stuck on a beautiful tropical island, able to find just what you need to hunt and purify water…it’s the writer’s job to make the mundane interesting and the impossible possible, and I have no problem with Oliver Queen mastering his domain. I’m excited to see where this series goes. And speaking of being excited where a series is going, that leads me to Supergirl and the Legion of Super-Heroes #32. When Tony Bedard initially took over the writing duties from Mark Waid, I was not impressed and getting to the point where I was considering dropping this series. Last issue I mentioned that it seemed like there was a purpose coming for this book, and this issue paid off. I’m very intrigued about The Quest for Cosmic Boy and I also like that I’m getting a taste for how a different writer handles this gang and I’m enjoying it at the same time. Good prediction by me! As far as I’m concerned, there are only three comic book publishers: Marvel, DC, and everyone else. Most of the comics I buy are published by Marvel and DC, which makes sense since most of the comics period are published by Marvel and DC. This was an extremely odd week, though. Between IDW, Dark Horse and Image, I bought six comics that weren’t from the Big Two, which is more than I bought from either of the Big Two. Not only that, but those six comics were of a much higher quality than anything published by Marvel or DC. 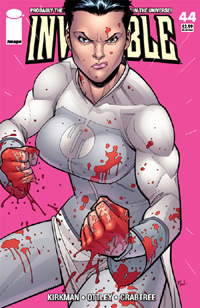 Invincible #44 did a great job of advancing the two main plots going on right now: Mark’s relationship with Eve and the impending Viltrumite invasion. It would be too easy to see Mark and Eve together right away, so I’m glad Robert Kirkman found a way to keep them apart a little bit longer. The meat and potatoes of the issue is a confrontation between Invincible and Viltrumite (the first female we’ve seen thus far). They have a chat about the pros and cons of the Viltrumite occupation, and the Viltrumite actually makes a very interesting point that the Earth won’t be able to support life in a few hundred years the way we’re going anyway, so why not let the Viltrumites come in and make those last few hundred years a little more prosperous? 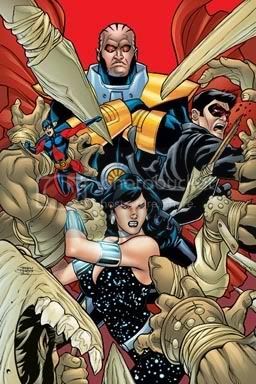 In the end, Invincible is faced with a question he doesn’t have the answer to: can he take on a Viltrumite one-on-one? Looks like next issue we’ll be finding out. 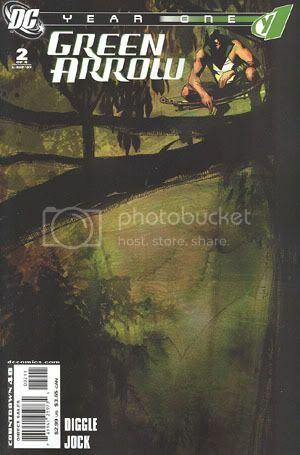 Grendel: Behold The Devil #0 was one of our Books of Doom this week, so I’ve already shared my appropriately brief thoughts on the issue. The price was certainly right on this one. Fear Agent: The Last Goodbye #2 reminds us all that zombies aren’t the only way to have an apocalypse. Heath Hudson and a few others are the only humans left alive, holed up in an underground bunker, while two warring alien races use Earth as their battlefield. With the paranoia, death lurking around every corner and the human instinct of survival, Fear Agent is everything I love about zombie stories wrapped up in an entirely different genre. Cool beans. 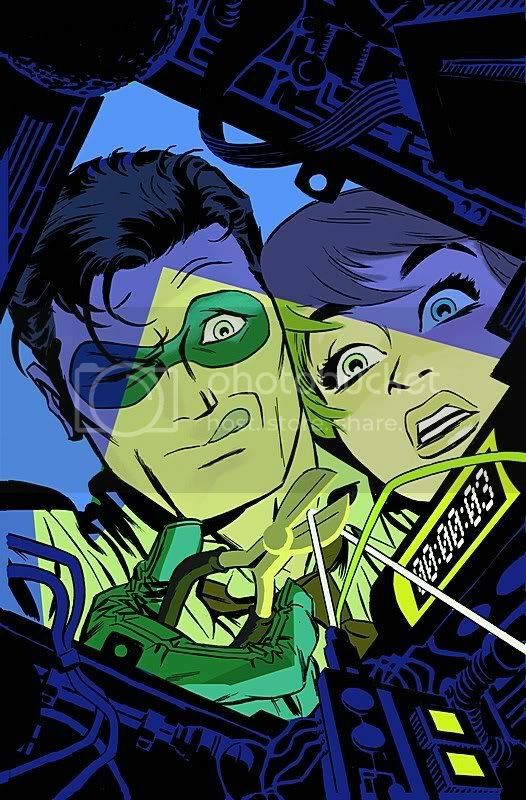 Oh, and Tony Moore’s artwork is frickin’ sweet as hell. No, Kingdom Come hasn’t been named a saint, but for years now it’s been slowly working its way into official DC continuity. Characters, themes and ideas from Mark Waid and Alex Ross’s epic story have been showing up in canon DC Universe stories for quite some time, from Red Arrow in JLA and a feline Wildcat in JSA to a more warrior-like Wonder Woman and the Shazam vs. Superman lightning trick. Lately, the references have gone into overdrive, with revelations that the JSA’s Starman is the same one we saw in Kingdom Come, and the Kingdom Come Earth is one of the 52 Earths in the multiverse. Later this year, Kingdom Come’s Superman is set to join the Justice Society. But is all this Kingdom Coming a good thing or a bad thing? Good Idea! Making the greatest DC Universe story matter. Others may not agree on this point, but I consider Kingdom Come to be the greatest story ever told featuring the classic DC superheroes. The Dark Knight Returns is no doubt a great story, but in my humble opinion Kingdom Come trumps it in every respect. Of course, like many truly great DC stories (like DKR and New Frontier), Kingdom Come suffers a bit from the fact that the story isn’t in-continuity, so the story doesn’t have any actual impact on the characters involved. 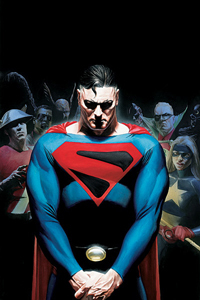 Granted, by making Kingdom Come an alternate universe, the story still doesn’t have an impact on the “real” characters. But by interacting with the characters from Kingdom Come, their New Earth counterparts can learn some of the same lessons. Surely the Superman of New Earth can learn a thing or two from Kingdom Come’s Superman, considering the major arc in Kurt Busiek’s Superman is about whether the world would be better off if Superman retired. Sound familiar? Hello fiends, and welcome to this week’s devilish double-shot with our roundtable reviews of Grendel: Behold the Devil #0 and Batman #666. Starting off with Grendel, when I picked this, I didn’t realize right off that it was just a preview issue. I was more entranced by the fact that it fit with the theme and that it was only 50 cents. So as an issue of a comic, it was a little dull, but as a preview issue, it was pretty good. It established Grendel as a sadistic hunter (I enjoyed the line – “there’s an irrefutable verification of my unmasked namesake to be found in the bristling turbulence of any pursuit”), so it covered that aspect for new readers. But then for those familiar and those just introduced, it also reveals on the last page that the hunter is apparently being hunted. I think Wagner’s artistic style takes a little getting used to. I know when I was first introduced to it, in one of the Batman / Grendel crossovers from the 90s, it seemed crude and simple. But at that time, I was used to the work of the Image creators, where 8000 cross-hatched fine lines was the sign of “good” art. I eventually realized he’s not trying to be that – he’s doing what he needs to do to tell his story – and since then, I’ve come to appreciate it as the expressively efficient work that it is. His storytelling doesn’t suffer from an abundance of line work, nor does it struggle to lure the reader along by being overly minimalist. The comic story might be unnecessary for anyone familiar with Hunter “Grendel” Rose, but the bonus interview at the end makes it still definitely worth the 50 cents. As far as Grendel goes, how much can you really say about a six-page preview? The art was really cool. I especially like the use of red as the only color in the story. 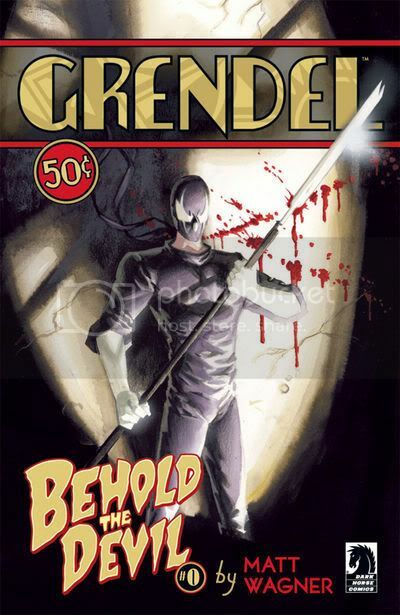 I’ve always thought Grendel was a really cool design for a character, and the idea of an urban ninja is kind of cool. Sure, Spider-Man, Daredevil, Elektra, Batman, Nightwing, Robin, Batgirl and many, many more are urban ninjas to a certain extent, but Grendel doesn’t really seem to be like any of those guys. I wouldn’t say that these six pages sold me on the series, but I’m probably more likely to buy it now than if Dark Horse hadn’t put out this half-dollar preview. While most organizations reporting on San Diego’s Comic-Con are probably looking for the exciting announcements and leaks, the San Diego Union-Tribune ran a story Wednesday revealing the convention’s “charity” status. …the 38th annual San Diego Comic-Con International, which opens tonight, is registered with the federal government as a public charity, placed in the same general category as many schools, hospitals and churches. As such, the pop-culture extravaganza, which generates about $5 million in revenue each year, is exempt from income taxes and pays less in city traffic-control fees. That loss of money to government coffers means the public is, in effect, subsidizing an event that has become a massive promotional vehicle for new movies, TV shows, comics and toys. The story goes on to say the event’s organizers justify the classification by saying the convention is educational. Granted, I don’t read Mighty Avengers, so this may not be a good example of the their use in the title, but was the much bally-hooed return of thought bubbles just an excuse for Bendis to have his characters make snarky comments at each other after every line they say out loud? While I wasn’t able to make it to the Con, my PR pals on the Left Coast have been nice enough to keep me updated on all that’s going on. Well, actually my PR pals at pretty much every publisher outside of Marvel. But that’s a whole ‘nother story. BOOM! Studios has a lot happening. The publisher will be launching a Godfather comic based on the film series. It’ll be drawn by Greg Scott, who previously did X-Isle and Enigma Cipher. The writer isn’t announced, but “jaws will drop,” according to CEO Ross Richie. Lastly, BOOM! will be releasing trades of some of their initial series, including Talent, Hero Squared, Tag, Death Valley, X Isle, Zombie Tales and Planetary Brigade. Dark Horse also made quite a few big announcements. For one, the publisher acquired the comics rights to Indiana Jones, so expect a comic tie-in to the upcoming fourth movie in the series about April. Also, in February Dark Horse will publish the first of an omnibus series of previous Indiana Jones comics. Also in early 2008, Dark Horse will begin publishing material from the Creepy and Eerie magazines, those ink-wash-laden horror comics of the 1960s. DH is also looking at creating new content under the Creepy and Eerie names. This week’s Book of Doom is about something greater than comics. It’s about an age-old battle. Something even bigger than Wolverine vs. Batman. It’s about good vs. evil…God vs Satan. And this week, we choose Satan. In honor of July 25th – also known as Christmas in July – also known as The Anti-Christ…mas – we have not one but TWO books of doom this week – both with a Faustily Festive theme: Grendel: Behold the Devil #0 and Batman #666. Our only celebrity guest this week is the Prince of Darkness, so if you’d like to join in our devilish dabbling and participate in our roundtable, just e-mail us your reviews and we’ll include them in the discussion. Matt Wagner (Batman: The Mad Monk, Sandman Mystery Theatre) presents a 50-cent primer to his all-new miniseries staring Hunter Rose, the original Grendel, launching this fall. Containing a prologue and unseen preview artwork to the upcoming series, this perfectly priced book provides an exclusive look at Wagner’s return to his signature creation. 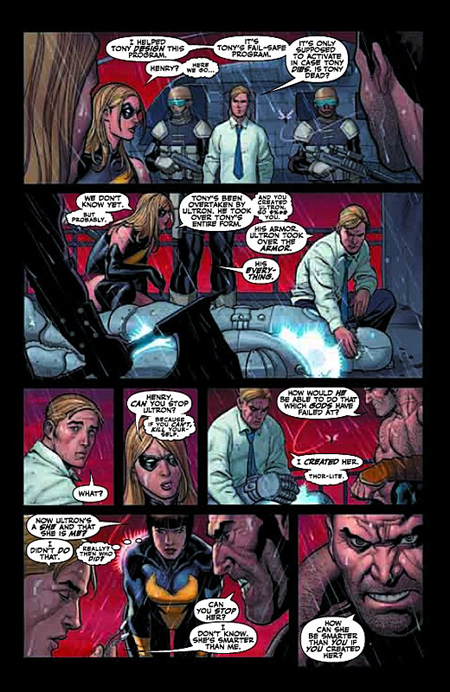 It also includes an extensive interview with Wagner, conducted by Newsarama’s Matt Brady, covering both the new series and the twenty-fifth anniversary of Grendel as a whole. A best-selling novelist by day and criminal overlord by night, Hunter Rose was the most feared individual ever to wear the mantle of Grendel. Long known only through journals discovered after his death, the mysterious life of Hunter Rose gives up a few more of its secrets when newly uncovered documents expose a previously unknown chapter in the life of this legendary assassin and underworld power-player. For the first time in many years, Wagner writes and draws his signature Grendel character-the ultimate treat for all who follow this modern master of comics or any fan of the character that began his career twenty-five years ago! 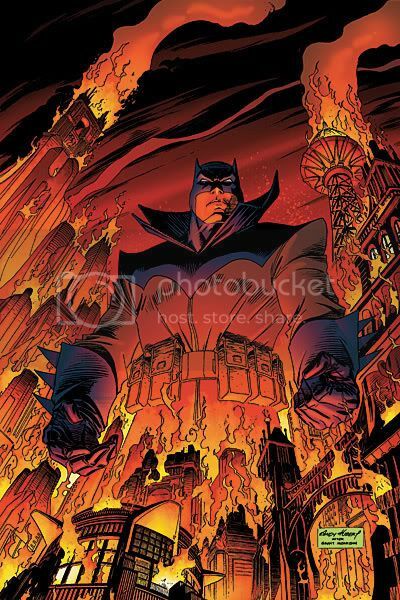 Meet Damian Wayne, the Batman of Tomorrow in this special issue set 15 years from now in a nightmarish future Gotham! In a world torn apart by terrorism, plagues, rogue weather and bizarre super-crime, only 24 hours are left before the climactic battle of Armageddon — and only one man who might be able to stop it. It’s Tuesday, it’s Doomino Time – I finally finished off my stack of last week’s comics so I shall let her rip. First up is the book I almost didn’t read – The Spirit #8. I sat down with my stack and realized I didn’t even crack open the issue, so I made a point to before starting this. Oh boy, am I glad I did. It only took eight issues for this series to become a creatively bankrupt bore. I credit this largely to the fact that – SPOILER WARNING – Spirit #8 uses the ending from The Naked Gun 2 1/2. So so so funny for all the wrong reasons. Yes, The Spirit is light-hearted. Yes, much of The Spirit is tongue-in-cheek. But when your ending comes from the watered-down sequel to a parody of police detectives, you have officially devolved to nothing more than a parody of yourself. And I don’t know if it’s always been the case or if I’ve just noticed it, but I find Dave Stewart’s Straight-Line Facial Shadows be terribly distracting. I first noticed it last week when reading Superman Confidential #5 and I couldn’t stop noticing it in this week’s Spirit. The guy is capable of complex, beautifully rich coloring – is this whole straight-line fascination somehow “retro” ? I mean just look at the cover for a glaring example of this phenomenon of which I speak. But anyway, I’m glad I read it because now I have a new entry on The List of Comics I’m Going to Stop Buying. Speaking of comics that I’m going to stop buying that are also made by highly-acclaimed creators, that leads me to The Goon #19. I used to love The Goon. It was inspirational reading those early issues and trades. The joy that came from reading it was the kind of joy that just makes you want to create, because you get so excited from reading someone else’s creation that it just triggers your imagination in all sorts of directions. The Goon started going downhill for me in 2005, and since those days, there have been numerous references to its suffering quality. Apparently the lack of issues and ill-advised substitute creators have been due to Eric Powell’s focus on the Goon “Chinatown” graphic novel, which comes out in a few months. Normally, I would give the recent struggles in this book the benefit of the doubt and go ahead and pick up the graphic novel when it comes out. But thanks to issue #19, with Powell fully in charge and in the driver’s seat, all good will has been exhausted and the benefit of the doubt has expired. This comic has just gotten downright sad.